Flash sale – half-price new-edition Snow Business! Snow Business, the ice-bound murder mystery party, for 10–12 guests, about feuding families trapped in a chalet, is one of our older games and was due for a new edition! So now we've done just that – it's been brought fully up to date, and now matches our more recent games. 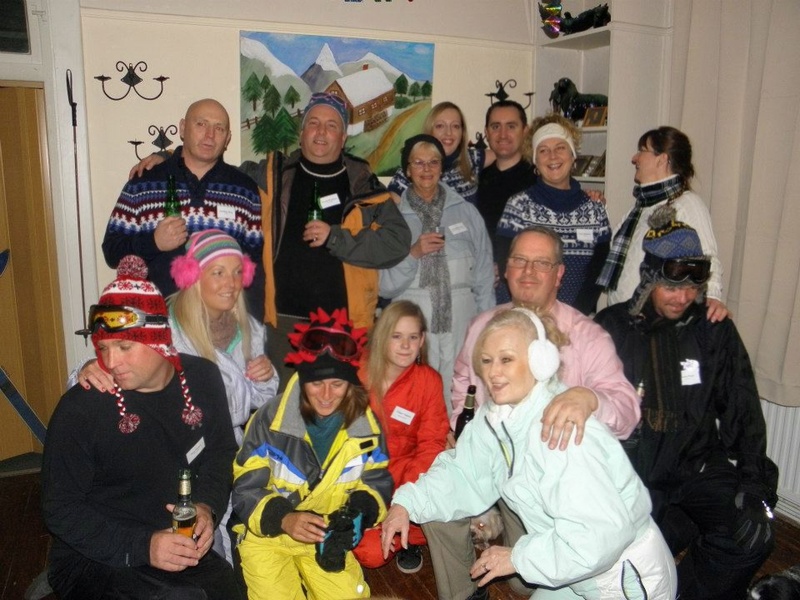 To celebrate Snow Business's revamp, and the renewed incarceration of the Harrisons and Perrys – and the coincidentally passing skiers who just happen to have got trapped in the chalet with them – we're having a special flash sale! You can pick up a copy of the game at half price – that's just 10 GBP, or 14.99 USD! Get in quick if you want to take advantage of the deal! – because on 10th February it's going to go back up to the full price of 20 GBP or 29.99 USD. "We played Snow Business last night, and had a great time. The weather was unseasonally warm, and everyone turned up in their ski kit. Some people had never met each other; before but within minutes they were all in character. Lots of great photos to remember the night!" Remember, the price is going to go back up on the 10th of February – so don't delay! "I hosted Court in the Act (my 6th Freeform Game) for my birthday last summer, to riotous success. Many members of our cast of 18 had not played one of your games before – though a few were veterans – and most had not even met before that night! Nevertheless, everybody got right into the game and had a lot of fun. The last fifteen minutes was a maelstrom of duels and marriages and more duels. Almost half of the cast ended up dead; so many so that we had to sequester them to the corner so everyone could tell who was still in the game! 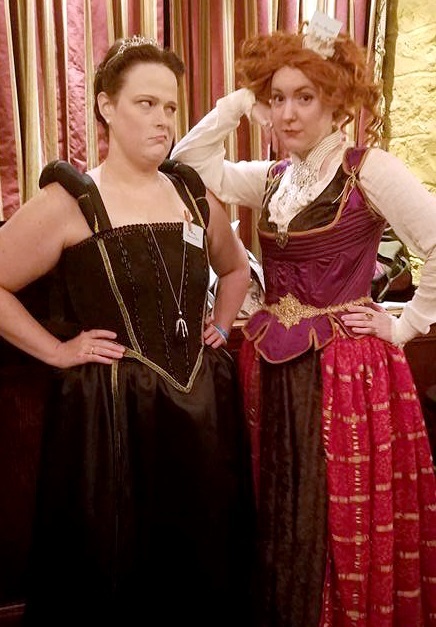 Through all that, the bartender – innocently talking to everyone the entire night – was the only person who guessed the murderer, and she promptly demanded that she be hired to tend bar for the next time! The time period of this game is one of the more difficult ones to costume for, but most of the cast work in the theater, and they really delivered." And here's the proof! Very regal, we're sure you'll agree. 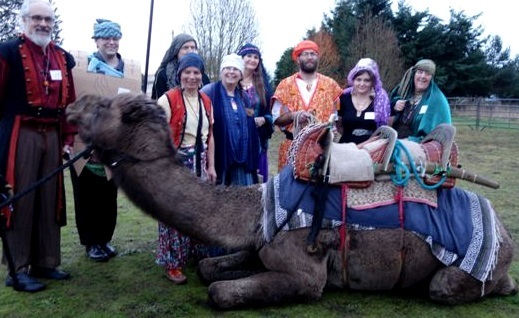 Meanwhile, Rose had a fantastic party with Arabian Nights, involving a real live camel and python!